Creating Transparent Picture from Powerpoint 2010 (or higher) is easier than you can imagine, it's simple trick, even with my previous tutorial creating transparent picture powerpoint. 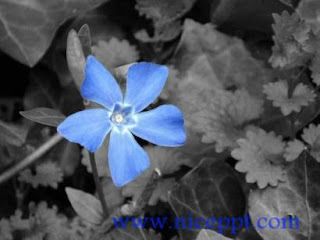 with this technique you can make a background with only focus with one color, like picture i show you below. After you done with that step, now you move to other picture that you duplicate before. 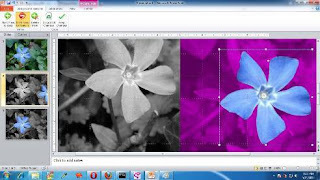 Use crop with only flower selection, and choose from a toolbar remove background, you can setting it to make it perfect color. Move on your cropped picture to the original picture, make it match position, and you get it. You can watch this video below to make sure that you understand.